Five reasons why you should come to our 2017 #ECMeetUp mini meet! And we’re at it again. Miss JustEllaBella (okay that’s not really her name) and I are busy prepping and planning to give you the best 2017 #ECMeetUp mini meet this side of town! “But Luchae, what is a mini meet?” I hear you ask. Well, dear friend, a mini meet is a smaller version of our annual giant, colossal meet up! But still just as uber cool. I promise. 1. Meet the brand: This meet up is aimed at connecting brands, pr reps, bloggers and influencers (much like your beautiful selves). We’ve opened it up to industry reps and are encouraging as much hobnobbing and elbow rubbing as possible. You may need to wear safety gear. And bring business cards. 2. Tips and tricks: We get to hear some “how to work with brands” tips from… you guessed it… actual brands! Woohoo! Albeit the talks won’t be as long as they are at a regular meet up, but we’ll be prepping our speakers to share quick nuggets of mind blowing wisdom that is sure to take your blogging game from 10 to, well, insert any obnoxious number over here. 3. Food: Guys, the venue is The Boma, and if you recall our previous Boma meet up, you’ll know that Sarah and Ralph don’t make jokes when it comes to dishing out delicious food. 4. A time to chill: We asked, and you answered: Everybody wants a few extra minutes to hang out. We get it and give you a meet that will be more ‘celebratory’ and less ‘conferencey’. Is that okay with you? Expect some music, a little bit of glitz, a cash bar and a lot of selfie taking. 5. Goodie bags: Let’s not even get it twisted. We love goodie bags! Right? Although this isn’t the main meetup who would we be if we didn’t hook you up with a little something something? It is our unofficial, official “end of year party” after all. Christmas box anyone? So there you have it. 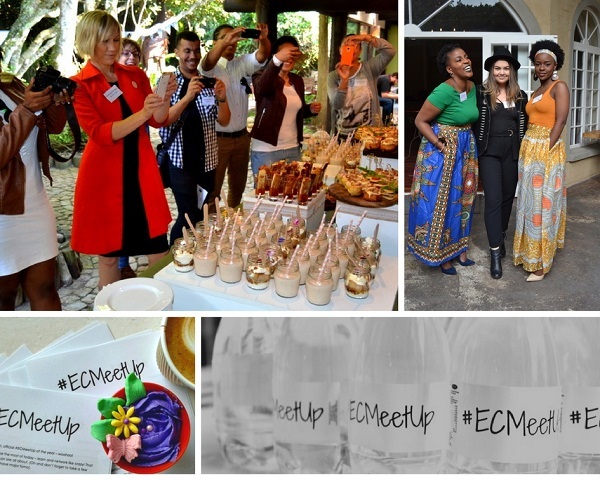 Five very serious reasons why you should be attending our next #ECMeetUp! If you’d like to get your hands on a ticket, simply use the bank deets in the banner above to make your transaction. Not able to pay right now but want to make sure your name is written all over a ticket? No probs. 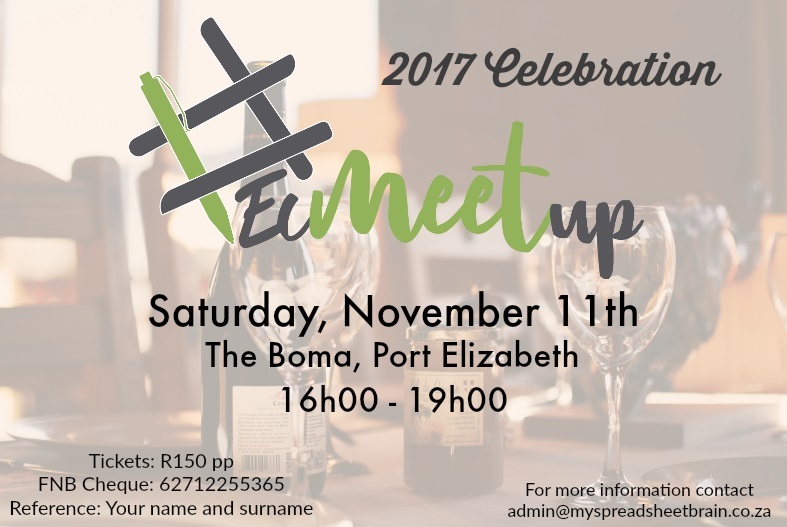 RSVP Luchae (that’s me by the way, welcome to my blog) by dropping her (me again) an email at: admin@myspreadsheetbrain.co.za. Tickets cost R150 per person and all purchases must be made by Friday November 3rd. We can’t wait to see you guys man! So, what's up with Easter? Celebrating one year with Oreo Enrobed on World Chocolate Day! Ever had to deal with that baby mama drama?